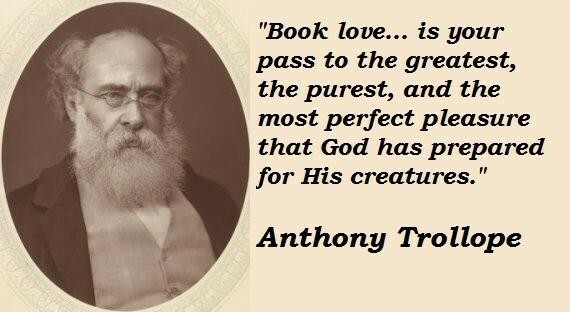 I can’t say enough about the wonders of the writings of Anthony Trollope, so I will leave it to you to discover them for yourselves, if you desire. The Literature Network – All About Trollope. Victorian Web Dot Org: A good page with lots of links about Trollope. I read that book, and so much was explained about the man whom I already admired but about whom I was in the dark still concerning his life story. This book was wonderful. I loaned it to my Paul to read and, contrary to what I thought he would do, he read it from cover to cover with great enthusiasm. He loved it too. He normally doesn’t read biographies or autobiographies – he prefers books all about England, Scotland, and specifically our beloved Yorkshire. But he did love this book, as did I. So it comes highly recommended if you want a good background before jumping in to Trollope’s abundant supply of wonderfully written books. Here’s a list of his books available at amazon-dot-com for you. 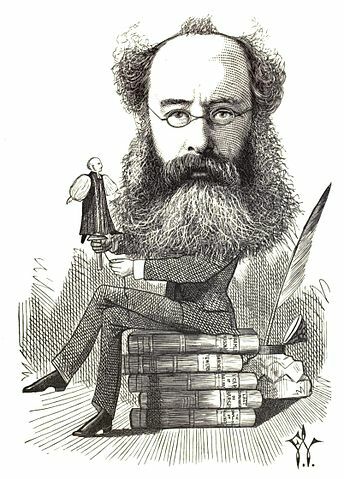 Have a wonderful Sunday, if you can, and if you can’t, well, find a Trollope story and jump in head first – you will be delighted by what you find there. 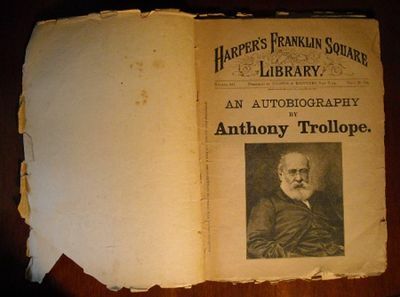 Here is Trollope’s autobiography on-line… start reading it right now! You are just a wealth of information about topics I have not heard off. I visited your links and have book marked them for later reading. I can hardly wait for next Sunday. I never read him before, but will check him out. Thanks! Same here, Anna, loved Barchester… my favourite of his books are the Palliser novels… and I have to admit I did not read the books – yet – but I have the series on VHS tapes that I’ve watched probably 3 times… what a great series that is! Phineas Finn is my favourite Trollope character! Click the above link and you can read the book right there on that site, see the left-hand column for chapters. You told me of him and I shopped! Bex, I see that many of Trollope’s works are available in Kindle editions at no charge. Thanks for the introduction. I look forward to reading his stories.